Captain Marvel came out earlier this month, and it has already become a huge success. Captain Marvel Box Office opened to a massive $153 million weekend. This was the seventh-largest opening for an MCU film in the history of the franchise. The movie has became the highest grosser of 2019 in just three days, scoring one of the biggest IMAX openings, earning $22 million on a total of 964 screens. It saw the second biggest international IMAX opening until now, while being the best opening for Marvel in IMAX. The film has now hit yet another milestone as it becomes the tenth biggest comic book film in history. 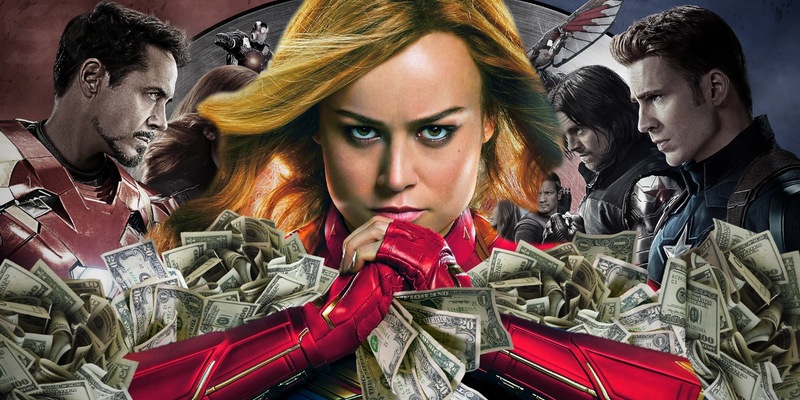 As per Box Office Mojo, Captain Marvel has now become the 52nd highest grossing film of all times, as it has already made $910,298,835 at the box office at the time of writing this article. The film comes now after only nine other comic book movies. The nine films that are above Captain Marvel currently are Avengers: Infinity War ($2,048,359,754, ranked 4th overall), 2012s The Avengers ($1,518,812,988, ranked 6th overall), Avengers: Age of Ultron ($1,405,403,694, ranked 8th overall), Black Panther ($1,346,913,161, ranked 9th overall), Iron Man 3 ($1,214,811,252, ranked 17th overall), Captain America: Civil War ($1,153,304,495, ranked 19th overall), Aquaman ($1,146,648,294, ranked 20th overall), The Dark Knight ($1,004,934,033, ranked 37th overall). and The Dark Knight Rises ($1,084,939,099 , ranked 25th overall). Also Read: Is Darkseid’s New Weapon DC’s Infinity Gauntlet? Now given that the film came out pretty recently, there’s a possibility that it will continue to go up in the table. It has already won over films like Guardians of the Galaxy Vol 2, Wonder Woman, and Spider-Man: Homecoming. Captain Marvel stars Brie Larson as Carol Danvers/Captain Marvel, Samuel L. Jackson as Nick Fury, Ben Mendelsohn as Talos, Lashana Lynch as Maria Rambeau, Annette Bening as Dr. Wendy Lawson, Djimon Hounsou as Korath, Lee Pace as Ronan, Gemma Chan as Minn-Erva, Clark Gregg as Phil Coulson, Jude Law as Yon-Rogg Akira Akbar as Monica Rambeau, Algenis Perez Soto as Att-Lass, and Rune Temte as Bron-Char. Caro Danvers will return next in Avengers: Endgame on April 26!